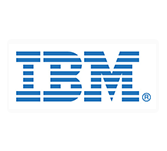 IBM Job Control Language (JCL) is known as the command language of Multiple Virtual Storage (MVS) used in operating System. JCL searches the executable program, required inputs and location of the input/output and informs the Operating System via Job control Statements. This tutorial is targeted for software programmers who know the basic of computer programming language. The tutorial is helpful for the users who wish to learn job management and data management in a mainframe environment. Naming A Started Task (source Jcl Is A Job).